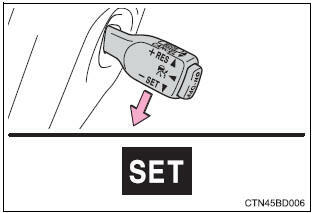 Press the �on-off� button to activate the cruise control. 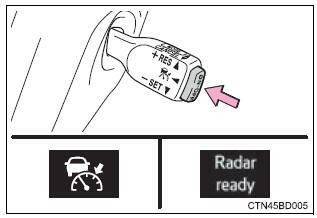 Radar cruise control indicator will be displayed. �Set� indicator will be displayed.